Four months ago I reported on an exciting collaboration between Blizzard and Kellogg’s to bring Lucio-Oh’s cereal into reality. At the time, they were slated to come out in December, and this turned out to be true. However, they neglected to mention that the December release would be incredibly limited. I didn’t see any at my local Target or Walmart, and the online stock sold out within the first day, before r/LucioMains had even warned me they were available. For one agonizing month I despaired over missing what could have been my only chance at eating promotional Overwatch cereal starring my favorite character. Luckily, capitalism had my back and Lucio-Oh’s had a second run in January. This time I was prepared and ordered two boxes within 30 minutes of the cereal becoming available. One for eating, and one for saving forever. But then they finally arrived! 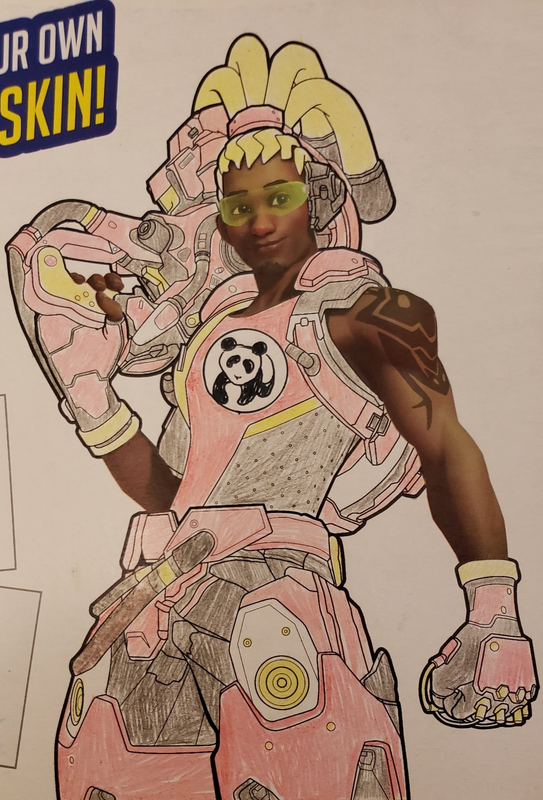 The Walmart and shipping box my Lucio-Oh’s came in. The paper towels are to stem my tears of joy at finally owning Lucio-Oh’s. Of course, by “arrived” I mean “arrived at Walmart,” not at my house. I’m too much of a scrooge to pay for shipping, so I had to leave my frog sanctum and actually drive into town to pick them up. The cardboard was standard cereal box quality, though they seemed a bit roughed up from the shipping process. Both boxes of cereal sported pressure creases on their top halves, which will hurt the resale value when I sell them for millions in my old age. Lucio-Oh’s will be our generation’s Beanie Babies — mark my words. The packaging isn’t kidding around when it says “Family Size.” This isn’t one of those tiny boxes that gimmick cereals usually come in. It looks economy-sized, like the volume that Cheerios or Frosted Mini-Wheats come in. The back has a line art Lucio where you can color in your own skin. I personally went for a Panda Express-theme because I love their orange chicken. This cereal is rated T for Blood, Use of Tobacco, and Violence. One side of the box has Nutritional Facts, and the other is dedicated to explaining the Loot Boost promotion currently underway. Uploading your receipt through Kellogg’s Family Rewards earns you an extra loot box on your next three Overwatch level-ups. Or at least, it’s supposed to. Here I have to give Kellogg’s bottom marks, as after almost a week of constant attempts, I have been unable to claim my Loot Boost no matter what I do. They rejected my online confirmation email, my pickup confirmation email, the pickup confirmation slip, and even a compilation of all three. I don’t know if they were hoping for a standard receipt, but I didn’t have one because I ordered online. I finally called their customer support, who agreed that this was their mistake, but they said I needed to link my Battle.net account before they could reward the Loot Boosts. This is despite the fact I’d already linked it for the Pop-Tarts promotion. However, for the last three days, clicking the “Login to Blizzard” button simply refreshed the page. As of the publication of this article, I have been unable to claim my Loot Boost. Long story short, if you bought your cereal in-store you’ll be fine. If you ordered them online, you may never get your Loot Boost. Join the club. Lucio-Oh’s isn’t the unhealthiest cereal on the shelf. It has less sugar and fat than Froot Loops or Captain Crunch, but it does lose out to any traditionally “healthy” brand like Frosted Cheerios. It didn’t turn the milk any weird colors, but it did flavor it vanilla. I consider both of those pluses in my book. Overall, I’d give this cereal 11/10, better than sliced bread. The Loot Boost promotion, on the other hand, I award 0/10. Kellogg’s need to get its act together. If you wish to go on your own spiritual awakening, Lucio-Oh’s will be sold until Dec. 31, 2019. Or at least that’s how long the alleged Loot Boost promo is slated to go.